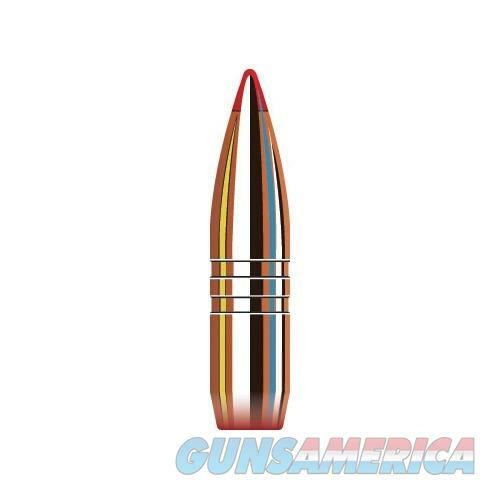 Description: Hornady 25410 25 Caliber (0.257") 90gr GMX 50/Box The Hornady GMX bullets (Gilding Metal Expanding) are a streamlined design projectile to obtain ultra-flat trajectories. Gilding metal reduces pressure and fouling that is often associated with all copper bullets. The GMX consistently delivers over 95% weight retention and 1.5 times original diameter expansion. They are able to achieve devastating terminal performance across a wide range of velocities. Their gilding metal construction and double cannelures minimize barrel fouling and are compatible with conventional reloading data. Lead-Free construction meets all California restrictions.